Mong (blank) Ji Hyo or Miss Mong (for her blank expressions as she’s figuring out or assessing situations), Ace Ji Hyo, Bad Ji Hyo (for when she lashes out in anger). Also considered one of the most capable of the Running Men for being quick, clever and observant. As the only woman, she is only at a physical disadvantage for speed and strength. She’s been most often allied with Gary as part of the “Monday Couple”. Kang Gary: Garie (Korean: 개리, often spelled as Gary; born 24 February 1978) is a South Korean Talented rapper and musician of hip-hop duo, Leessang. He is also currently a cast member of the variety show Running Man.He sometimes survives on other peoples’ ambitions that end up in them eliminating each other and him managing to the end. It’s sometimes surprising, although no less impressive, realizing that he’s in one of Korea’s top hip hop groups. On the latest episode of SBS‘s “Running Man,” “Monday Couple” Song Ji Hyo and Gary faced off in a hip towel wrestling match. On April 28, the members of “Running Man” predicted that Gary would easily win since he had stated before that he had reached an 8th level status of achievement in martial arts. When Yoo Jae Suk restated that fact to Gary, however, he replied while directing his gaze to Song Ji Hyo, “I think I’m not at the fitness level I was before…but I’m a 3rd level lover,” which caused the rest of the members to crack up at his smooth response. Gary:Aren't there going to be anymore tunnels? 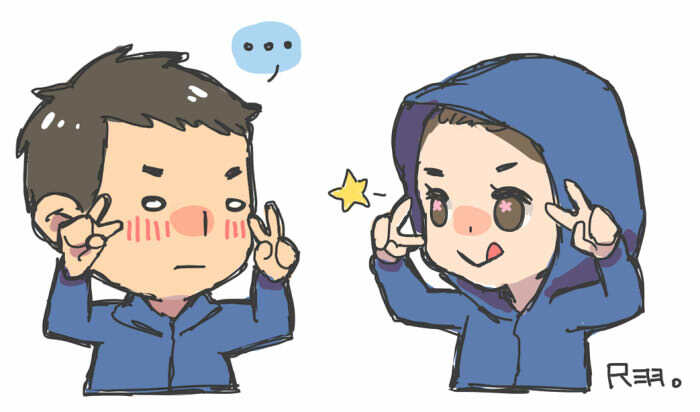 woohoo~ just realized there's finally a thread for the MONDAY COUPLE!! During the show, Song Ji Hyo received a mission, which involved shouting out the name of someone she loves three times and writing this person’s name with her bum three times. Song Ji Hyo chose her mother’s name, and started to carry out the mission. After successfully completing the game, Song Ji Hyo happily shouted out “I love you.” She meant it for her mother, but Gary, who heard it from afar, decided that Song Ji Hyo was claiming her love for him. Gary answered her, “Ok,” making everyone at the set laugh. This is my 2nd favorite relationship in Running Man. 1st of course is "Easy Brothers", because they're just so funny! How come I haven't searched for it yet?!! On May 26, actors Lee Hyun Woo and Kim Soo Hyun joined “Running Man” members for a special “Flower Boy Athletics Competition” episode. Song Ji Hyo comforted Gary saying, “Well, I think Gary is better-looking than Kim Soo Hyun. On Mondays, Gary is the best-looking guy.” Gary who heard the conversations while driving said, “Thank you, Ji Hyo. I live a hard life from Tuesday through Friday and then I look forward to the show on Mondays with the hope that you and I could be something.” He also joked, “I feel like I’m going on a trip with my girlfriend and her father right now” causing everyone to burst into laughter. 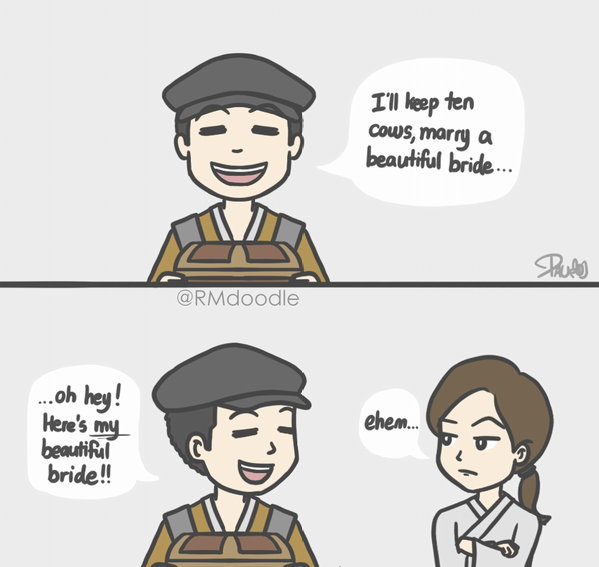 RMdoodle of some of my favorite Monday Couple Moments, wish it lasted longer! ^ I agree. I'm always looking forward to Monday couple's scene in the new episodes.